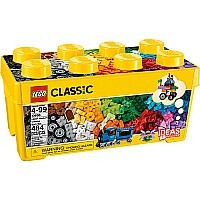 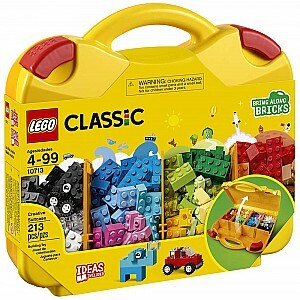 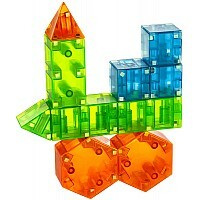 Group colors or projects in the compartments of this special case of 213 pieces for on-the-go fun! The sturdy yellow carry case includes all kinds of elements including bricks, wheels, eyes and shapes. 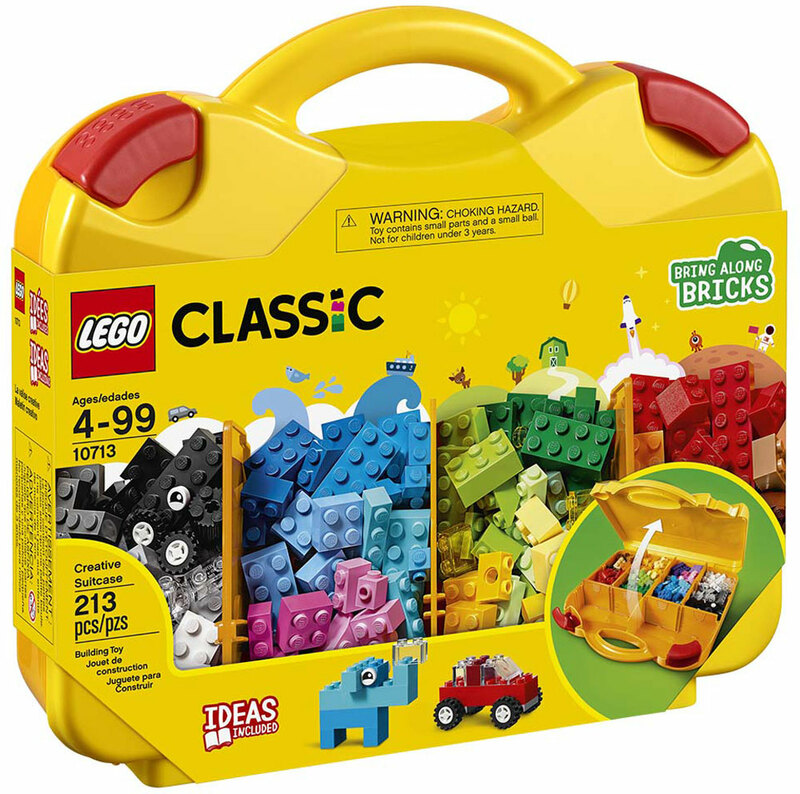 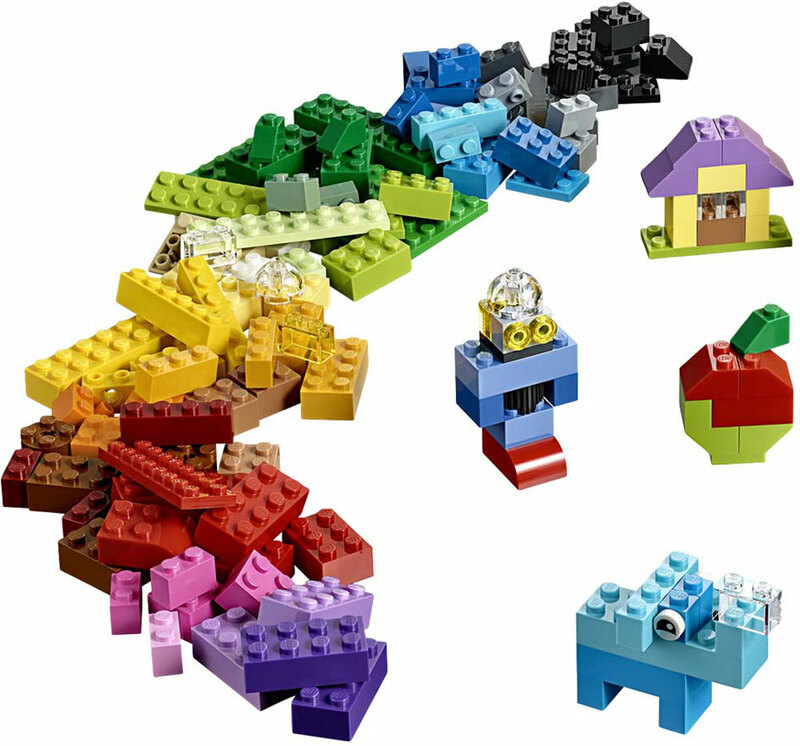 Perfect starter set for budding LEGO® builders. 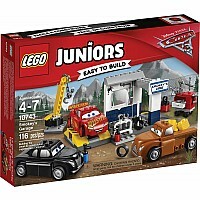 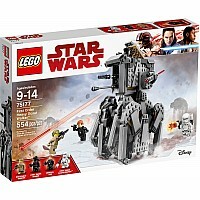 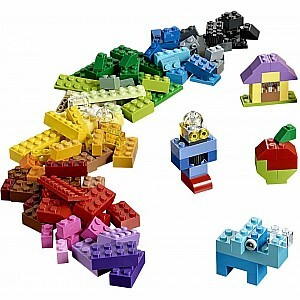 For ages 4-14 yrs, from LEGO.